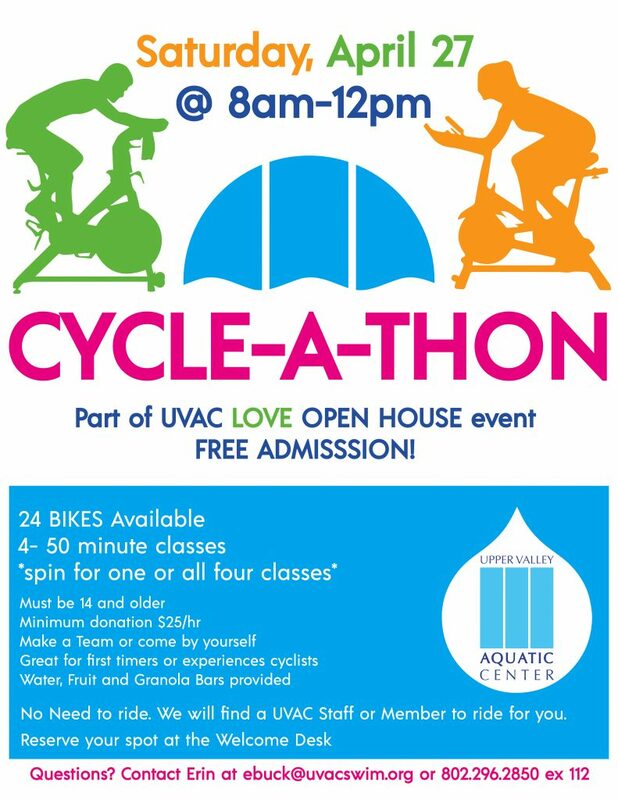 Come cycle to great music, get a good workout and help raise money for the UVAC Financial Aid Fund! Minimum donation $25/hr. Make a Team or come by yourself. Great for first timers or experienced cyclists. Water, fruit and granola bars provided. 24 BIKES Available. 4- 50 minute classes *spin for one or all four classes. No need to ride. We will find a UVAC Staff or Member to ride for you. Questions? Contact Erin at [email protected] or 802.296.2850 ex 112. Reserve your spot at the Welcome Desk 802-296-2850 ex 0.